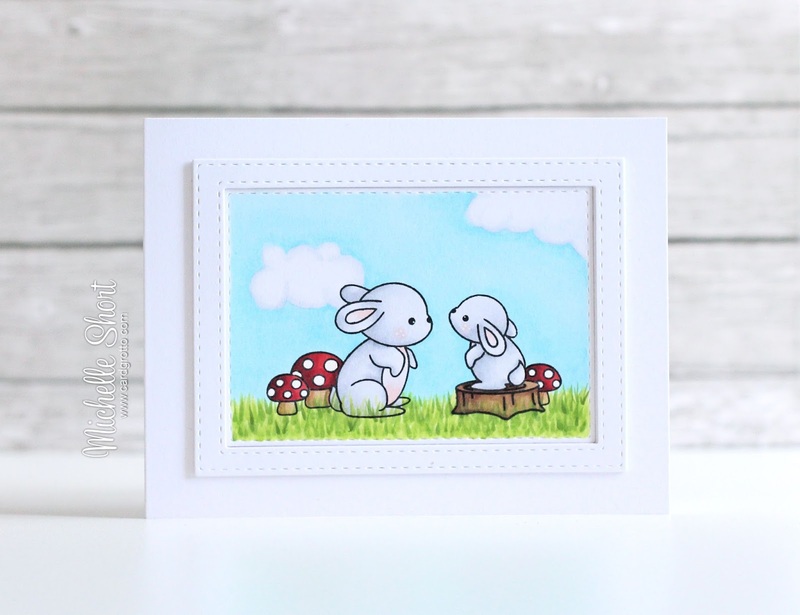 Hello there, I just couldn't resist inking up the Clearly Besotted Woodland Kisses stamp set again, this time using the adorable bunnies. I started off by cutting a piece of white cardstock with one of the SSS Stitched Rectangle dies. On to this I then stamped the bunnies, tree stump and toadstools, masking off as I went. 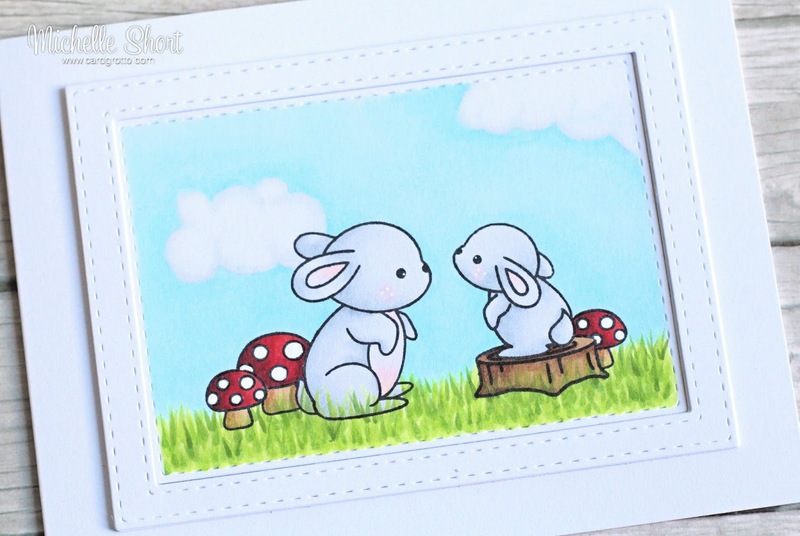 The image was then coloured using Copic Markers, adding white gel pen to the toadstools and the bunny's cheeks. The panel was added to a white A2 card base with ATG. I then die cut three frames using the same SSS Stitched Rectangle dies and layered them up. These were added around the bunny panel. COPIC MARKERS: Bunnies: C4, C3, C2, C1, C0, R00, R000. Tree stump: E59, E57, E55. Toadstools: E35, E33, E31, R89, R37, R29, R27. Grass: YG67, YG17, YG23, YG03, YG01. Sky: B00, B000, B0000. Clouds: C1, C00. I decided to not to add a sentiment to the card as I think it could be used for a few different occasions. I will add one inside when I know who it will be for. Thank you so much for visiting me today. I hope you have a great day! I love this! Bunnies are my favorite! Love your sweet pair of bunnies, too darn cute.